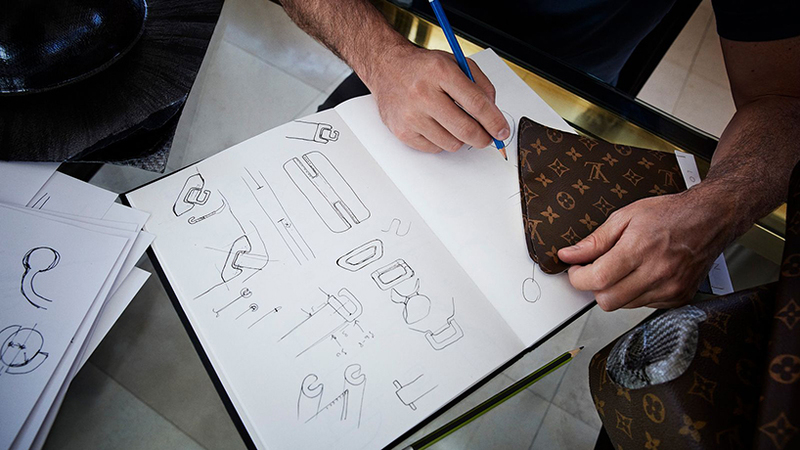 marc newson is an industrial designer who works in aircraft design, product design, furniture design, jewellery, and clothing. newson was born in sydney, australia, and now lives and works in london, UK. 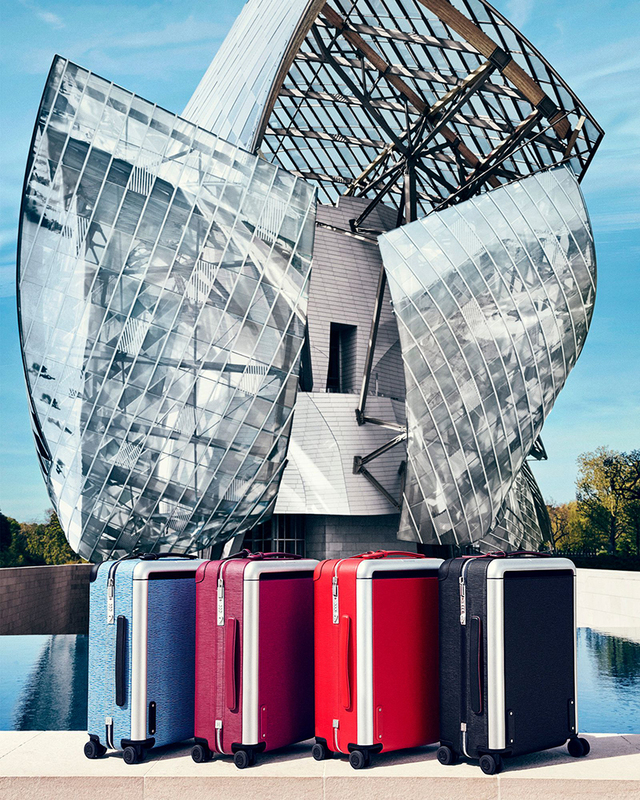 widely acknowledged as the most influential industrial designer of his generation, and winner of ‘designer of the year’ at the design prize, marc newson has collaborated with louis vuitton in ‘horizon’ — a new collection of rolling suitcases. 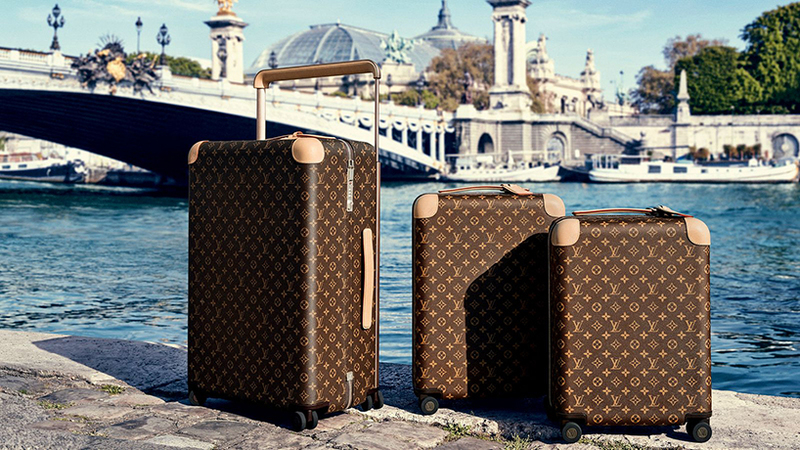 created for the 21st century traveler, the 4-wheeled check-in and cabin-size luggage features large interior capacity and lightness while reinterpreting the famous louis vuitton travel trunk. 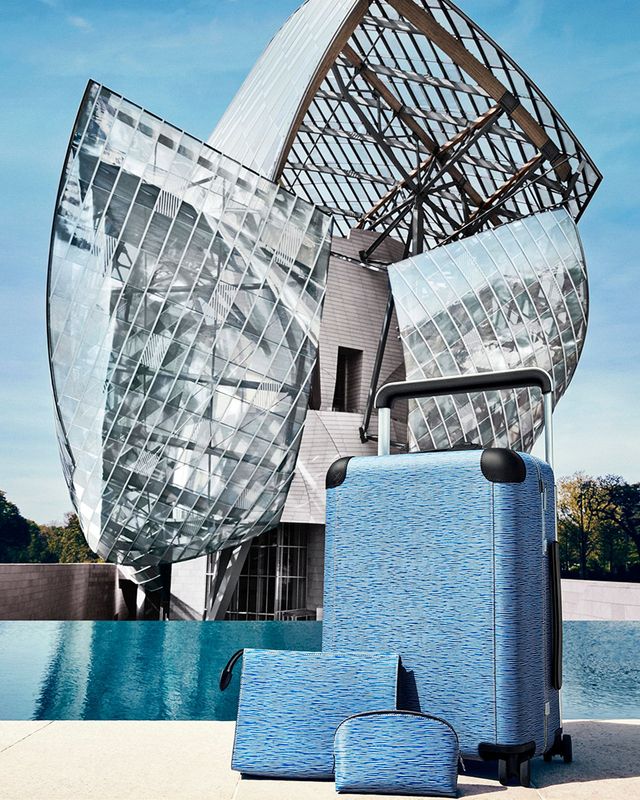 horizon by marc newson for louis vuitton is the first four-wheeled case with a completely flat back shell achieved by relocating the extendable cane outside. this adds structure and strength while substantially increasing the all-important interior packing space, removing the awkward bumps and ridges found inside. 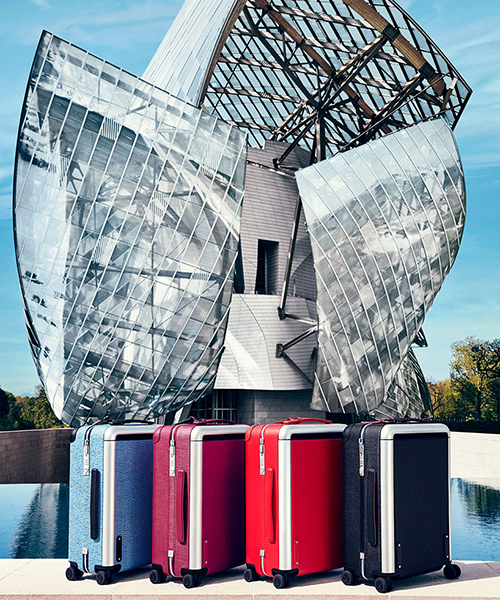 just like louis vuitton’s traditional hard trunks, the transversal side hinge has been built-in within the structure, allowing for 180 degree opening. the corners also honor history by being covered in natural cowhide leather, as well as the handles, offering maximum comfort. 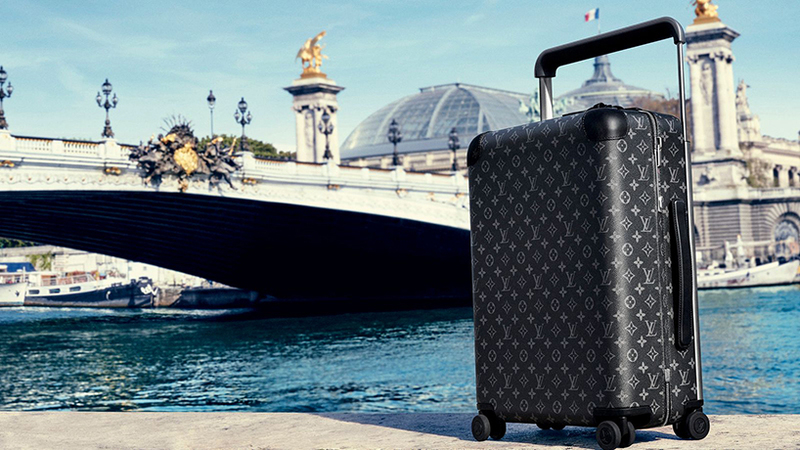 Neat luggage design ruined with the tasteless pattern of LV.